In the rapidly growing field of Silicon Photonics, a persistent challenge is the exceedingly fine alignment required to couple inputs and outputs. In both laboratory and production applications it is necessary to achieve, maintain and characterize these couplings, which can be sensitive on the scale of a few nanometers. 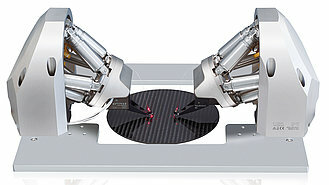 Automation is required both because of the delicate submicron nature of these alignments and also because quantities are rising rapidly as the technology is increasingly integrated into the mainstream of microelectronics manufacturing. A defined area is scanned using a spiral or sinusoidal scan routine. The advantage of scanning at a constant frequency is the ability to avoid system resonance. This ensures successful scanning. The full integration of area scanning capability can mean significant improvements in scan-and-align throughput since pointwise approaches are avoided, eliminating communications latencies and settling times. A single-frequency, sinusoidal approach is utilized, representing a significant advance over traditional raster and serpentine area scans and replacing their time-consuming stops-and-starts with a smooth, non-stop motion. The frequency of the scan can be set by the user to avoid excitation of structural resonances in the fixturing and device, further facilitating overall scan speeds. A single command starts the scan, and you can activate integrated data recording that synchronously acquires optical data with multi-axis position. 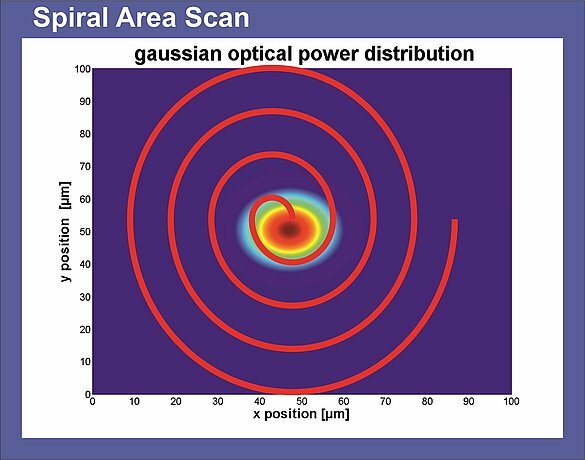 This highly effective scan is, in fact, a key part of PI’s award-winning suite of industrial photonic alignment systems. All controls are digital, allowing loads to be easily accommodated without electronic adjustment. And all moving axes incorporate high-resolution position sensors so the system’s position is always known and controlled during operation, helping address device- and user-safety concerns. PI’s new F-131 Modular XYZ Photonic Alignment System is an excellent foundation for developing, studying and pursuing manufacturing and testing of photonic components. It integrates a reconfigurable stack of precision, closed-loop DC motor stages with 15mm travels plus a closed-loop XYZ Nanocube piezo flexure stage capable of high speed and 2nm resolutions. 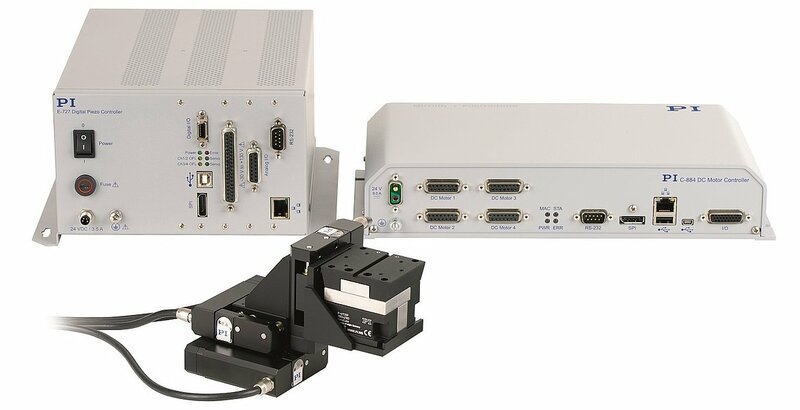 The F-131 fiber alignment system is offered complete with controllers as well as extensive software including the PIMikroMove graphical user software and programming interfaces for integrating into user programs. All-digital controls are provided, providing novel, low-vibration integrated fast scanning commands and built-in data recorder for mapping, optimization and characterization of devices and couplings both for input and output. High-speed Ethernet and USB interfaces, a high resolution analog input for optical metrology, and a wealth of software libraries for rapid application development help ensure rapid productivity and flexibility in usage. 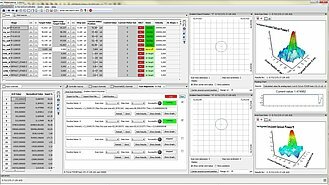 The powerful PIMikroMove graphical utility is provided for easy interactive control and visualization right out of the box, and programming examples in NI LabVIEW, Python, MATLAB and other popular programming environments are provided. Cross-platform support including Windows, macOS and Linux is amply documented for efficient development. 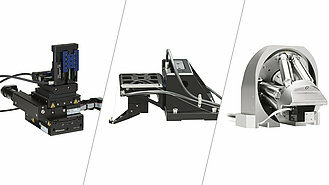 The optional C-990.FA1 software provides fully automatic alignment of light-transmitting components. An optional F-712.PM1 optical power meter provides high-bandwidth, broad-dynamic range optical metrology over a broad spectral range. Head of the Photonics Market Segment, PI (Physik Instrumente) L.P.